Ribbit! Do you have what it takes to help the Frog jump, paint and spacewalk the way to his sweetheart? Join the Frog as he embarks on an adventure that will take him from the lily pads of his home pond to the farthest reaches of outer space. 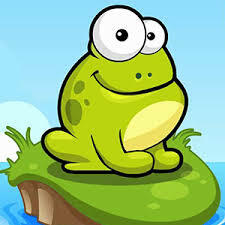 Easy to play yet challenging to master, Tap the Frog will keep you entertained forever. © 2014 - 2019 Foghop.com. All rights reserved.